This is a Dish. It is dated ca. 1505 and we acquired it in 1944. 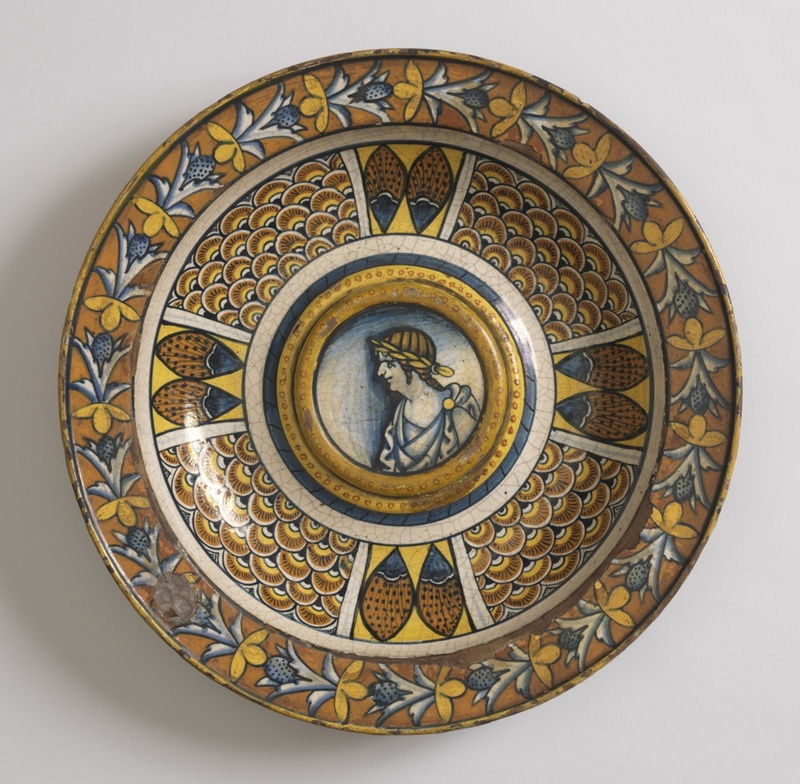 Its medium is tin-glazed earthenware (maiolica). It is a part of the Product Design and Decorative Arts department.